For the longest time, many people have remained confused about the real reason why you should use fuel additives. Does it improve fuel consumption? Does it increase the vehicle's power? These are the many claims flying around and it's no surprise why people are shunning fuel additives. However, could the claims bear some truth? Fuel and diesel in particular, has changed over the years, thus affecting the vehicle's consumption and power in general. The real question at this point is should you really use diesel additives? Also, which are the best diesel fuel additives? The Vehicle Lab has all the answers to this question. First off, it's important to understand that there are no fuel additives that improve fuel consumption. If this was the case, all fuel companies would have already rolled out the technology. However, what additives can do is help the engine utilize the fuel in the best way possible, thus keeping fuel consumption at manageable levels. Unfortunately, fuel additives don't improve your engine's power. Again, if it did, engine manufacturers would be the largest customers. Additives will only help the engine utilize the fuel well in order to avoid loss of power. With that said, some companies will make claims of increased horsepower. This could be a result of the engine running smoother. Fuel has evolved over the years due to increased campaigns toward lower carbon emissions. As a result, refiners are under immense pressure to produce fuel with low Sulphur content. The resulting fuel is unstable and contains more impurities. This results in a lower quality fuel and this is where additives come in. During the process of Sulphur removal, diesel loses a good stake of its lubricating properties. One of the most common processes is hydro-processing. In this process, Sulphur is separated from hydrogen. However, since hydrogen is highly reactive, it reacts with other elements in the fuel, thus ridding the fuel of its lubricating properties. Diesel injection components require some lubrication from the diesel. Modern engines have moving parts which need lubrication for proper function. With low-quality fuel, you risk increasing friction between the metal parts which will lead to increased wear and tear. 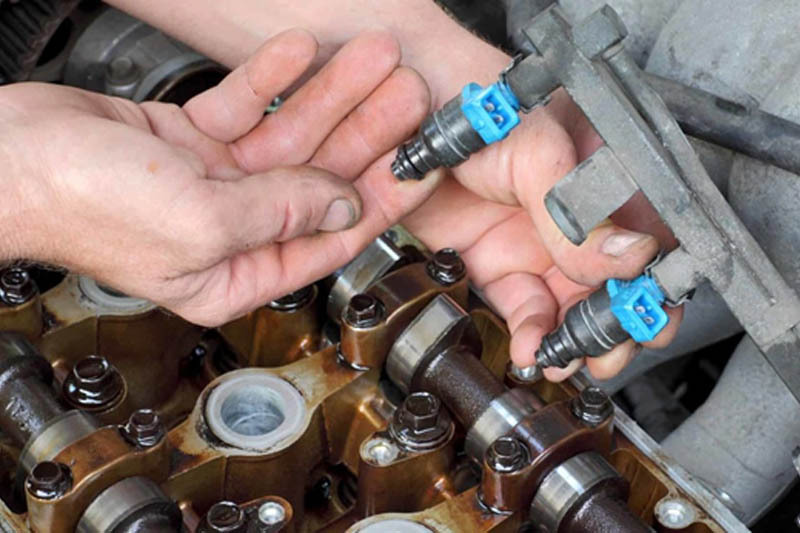 Deposits are a new problem in internal diesel injectors. These deposits occur on the inside of the injector body and are the main cause of injector failure. Some injectors don't even get past 100 hours. In some instances, the engine will run without a hitch during the day, but once it's shut down, it becomes a problem to start it again. These deposits come in two forms. First, there are waxy deposits and then carbonaceous deposits. Experts suspect the main culprit could be ultra-low Sulphur diesel and bio-diesel. The latter has trace metals as well as by-products. Water is harmful in any engine. Bio-diesel has a high affinity for moisture in the air. Water will enable the growth of microbes which will cause problems to the injector due to overheating. As a result, the turbocharger will also fail. In addition, water in diesel will also cause the fuel to lose its lubricating properties. This leads to increased risk of corrosion on the movable metal parts. Fuel additives will not improve the vehicle's power nor its performance. However, with the recent fuel changes, engine components are more prone to increased wear which, in the long run, will cause engine failure. Therefore, with such risks to the engine, it's vital for you to use fuel additives to overcome these challenges.